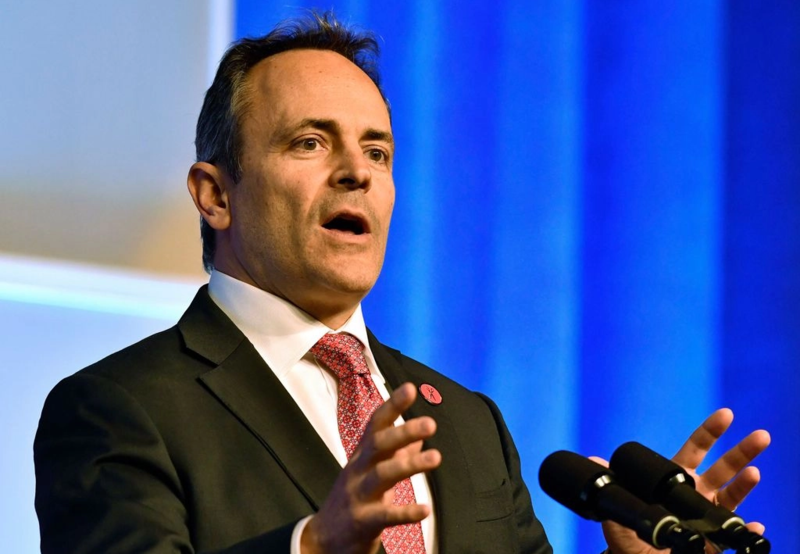 According to multiple news outlets, Republican Kentucky Governor Matt Bevin said in a radio interview that he intentionally exposed his children to chickenpox and that he does not support the state’s mandatory chickenpox vaccine. I’m glad Bevin’s kids turned out fine but he’s wildly irresponsible to talk about this so flippantly, especially as the country is in the midst of varioius disease outbreaks because of people’s unwillingness to vaccinate their kids. His statement is just the sort of thing the anti-vax community clings to in order to support their beliefs that all vaccines are dangerous and unnecessary. But what grates the most about Bevin’s statement is how out of touch he is with normal Americans. Bevin was wealthy before he became the Kentucky Governor in 2015. As a wealthy man before his election and as Governor now, Bevin can afford to let his kids get sick—because has people on hand to help him and his wife as they deal with sick kids. As governor, he has medical staff on call at all times and as a wealthy man he can afford first class healthcare and round the clock nurses if needed. I bet he can probably also afford to take a few days off if needed. But for normal families, dealing with the chicken pox isn’t so easy. It can take 10-14 days for the blisters caused by chicken pox to scab over—which is the sign that an infected person no longer contagious. For many families, losing that time at work would be disastrous—costing them much needed earnings or a huge chunk of their allocated yearly leave. Some might even lose a job alltogether if they missed that many days of work. We forget sometimes that vaccines also bring with them some practical benefits—like if you actually get vaccinated or vaccinate your kid, you and your child won’t get sick and you won't need to take time off work. Bevin should also learn more about the chicken pox – mainly, that it is not some harmless sickness all kids must endure. According to a case report published in 2018, chickenpox hospitalized 13,000 Americans and killed 150 every year prior to widespread vaccination. But even if it were a harmless infection, wouldn't we want to vaccinate our children to spare them the pain of shingles in their later years? Governor Bevin should rethink his comments about the chicken pox and his silly suggestion that the vaccine is unnecessary. He should come out publicly in support of vaccines and urge the people of Kentucky to fully vaccinate. And he should remember that the vast majority of Americans don’t live like independently wealthy Governors with mansions, on-call doctors and a household of servants and staffers available to attend to his and his wife's needs—and the needs of his sick children.